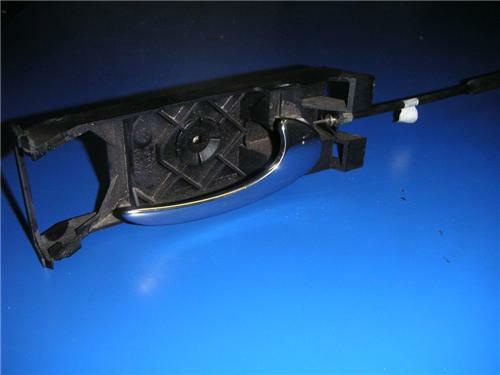 Up for sale is a JAGUAR XJ8 X308 - RHF Interior Door Handle & cable. It will fit any XJ8 & comes complete with all fittings as taken off the vehicle. This unit includes the cable & handle unit. It is a very comon problem with this sey up to have the cable break & not be able to exit the vehicle without winding down the window. Buyer to contact me within 24 hours and must arrangements for payment & pickup. Happy to help buyer with pickup or arrange postage.